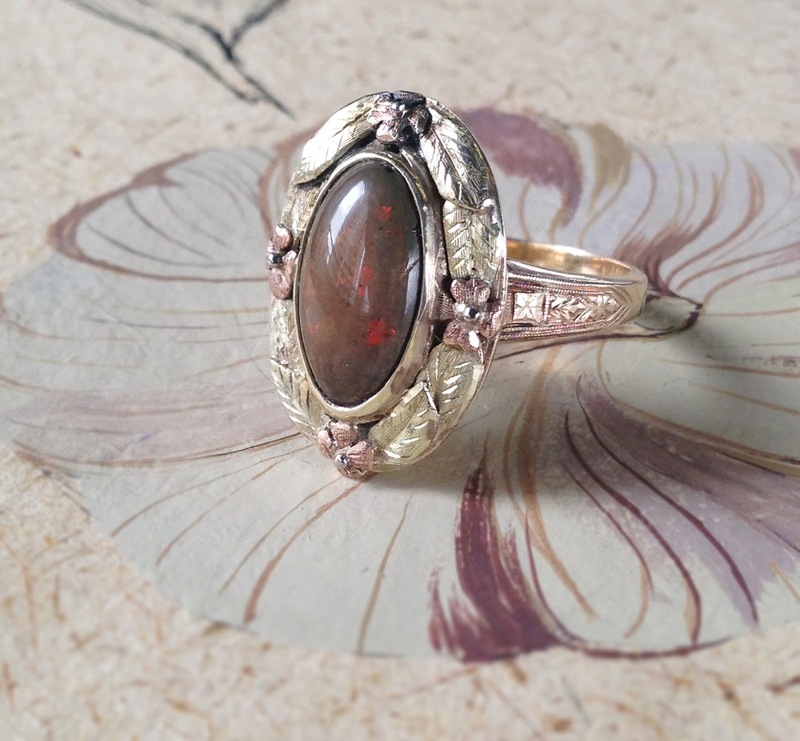 One-of-a-kind American Arts & Crafts opal ring crafted in 14 karat yellow gold and rose gold. This unique camel-colored opal is framed with bicolor gold wreath with beautiful satin finish. The shank is embellished with crisp engraving. Early 20th century.